The world’s most famous robot Sophia will be visiting Bahrain to attend the third Middle East and Africa FinTech Forum, which will be held on February 21 under the patronage of the Central Bank of Bahrain and hosted by Bank ABC and Arab Financial Services. At the MEA FinTech Forum Sophia will talk about the future of AI and how it will affect financial services. 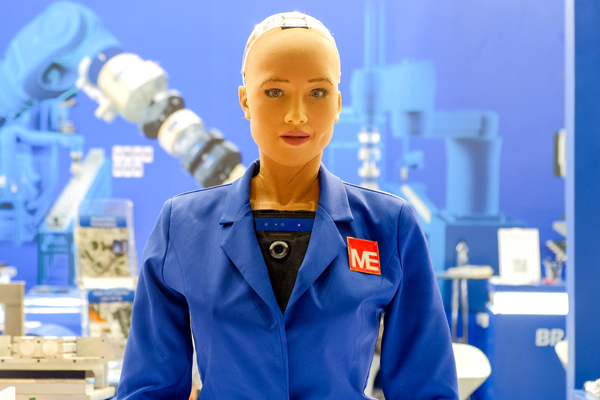 Sophia is particularly well-placed to offer insight into the future of artificial intelligence, and she will be joined at the forum by her creator David Hanson, founder of Hanson Robotics, said a statement. AI is increasingly important to banking, but how it will affect the industry in the future is uncertain. According to recent research, financial services firms are the largest investors in AI and will have spent close to $10 billion by 2020. More than 75% of global finance managers believe that AI will be key to making their businesses successful in future, but only around 25% of banking employees are ready to engage fully with AI in the workplace. Since her activation in 2016, Sophia has become an international celebrity. She has travelled the world and engaged in conversations about artificial intelligence (AI), robotics, and the future of the relationship between humanity and robots. Last year she has received her first pair of working legs and learned to sing and play the piano.